Sucking is perfectly normal for babies and is very soothing for them; many stop by age 2. Prolonged sucking, however, can create crooked teeth or bite problems. If the habit continues beyond age 3, professional advice is recommended. 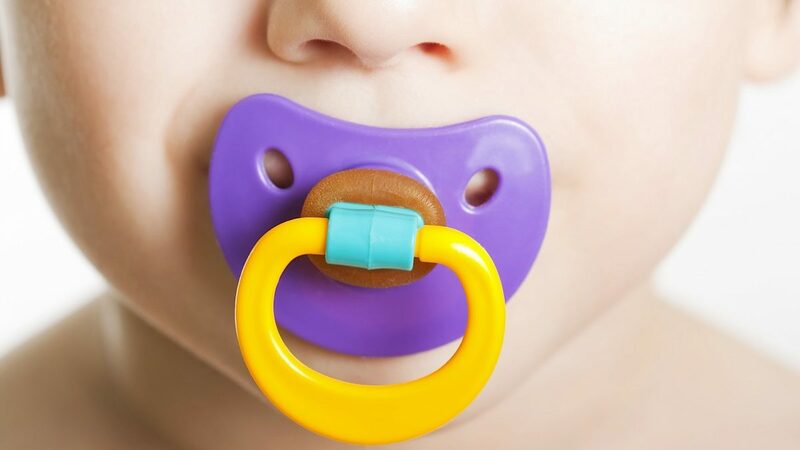 And although thumb-sucking and pacifier sucking essentially have the same effects, a pacifier is preferred over the thumb/finger because this habit is a lot easier to control. You can control when and where a pacifier is used. It is a lot more difficult to control a finger or thumb going into the mouth.